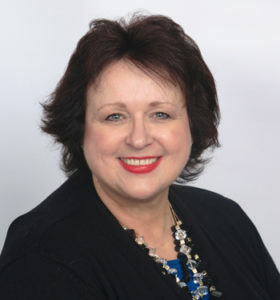 Sharon specializes in recruiting and placing paralegals, legal support personnel, attorneys and other knowledge professionals, helping law firms and corporate legal departments build high-performance teams. She has a site dedicated to legal recruiting at laclegal.com. Sharon is a senior legal recruiter with over 20 years of experience placing personnel at all levels and within every legal specialty. Located in Denver, Colorado, she is an honors graduate of Denver Paralegal Institute and a former litigation paralegal. Prior to joining LibGig, she was Vice President and General Manager of the Denver office of Templeton and Associates, a national legal staffing company. In addition to recruiting legal personnel, LibGig has afforded Sharon the opportunity to place librarians and information management professionals. She finds her work rewarding because she helps not only job seekers, but contributes to the success of clients by finding them the skills and abilities they need. Ongoing professional development and networking are important to Sharon, who is a member of Mile High Society of Human Resource Management, Rocky Mountain Paralegal Association, Colorado Talent and Recruitment Network, Colorado Lawyers Committee, Women in Energy and Women in E-Discovery. She has published articles on law practice management.